Ah, I see you’re still alive from playing the Payback Drinking Game. Well, not for long. 2) You find yourself picturing how Jinder Mahal will look after beating Randy Orton. 3) You realize Breezango is your spirit animal. 4) Ziggler sells like a champ for Nakamura. 5) OK. Just drink it but don’t swallow it. Now, remember when Bray said he felt sorry for whoever followed his and Randy’s match at Mania? Ok, how funny was your spit take? One quick thing before we continue (should you still be alive, of course). 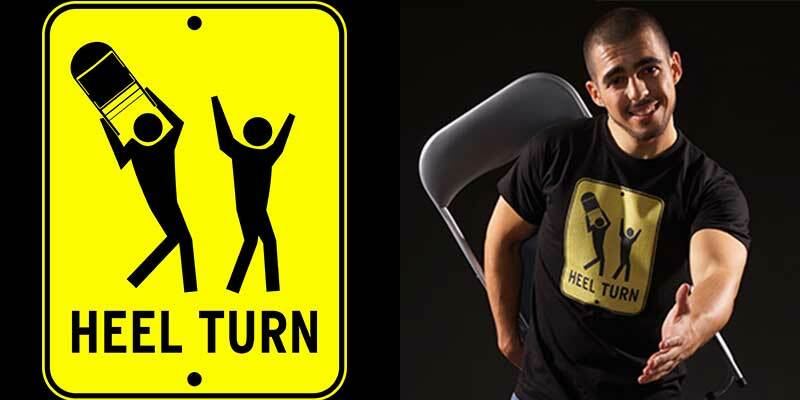 The “Dive” shots are sponsored by the world-renowed “Heel Turn” t-shirt, now available at the US and UK stores, along with many other funny wrestling t-shirts. 7) JBL makes a football reference. 8) You feel the need to numb the pain from seeing “The Perfect 10” on the Kickoff Show. 9) Jinder Mahal defeats Randy Orton and has the quickest rise in history from jobber to champion. 11) A “CM Punk” chant breaks out in 2017. The people chanting have obviously been drinking, so why shouldn’t you?? 12) And take as many shots as needed for you believe that Owens/Styles is the one that’s for the World Title.